Phil Reay-Smith (pictured above) has left Ogilvy PR UK, where he was head of media, to become a director within the corporate division of 3 Monkeys Zeno. 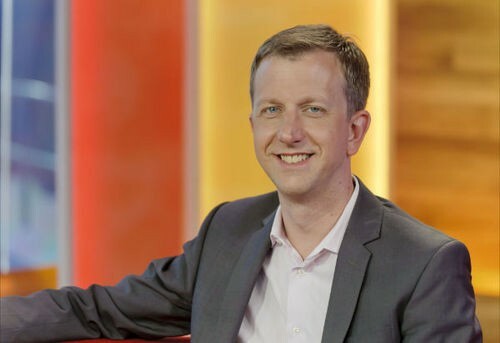 A former ITV news correspondent and consumer editor of the channel's morning show Daybreak, Reay-Smith moved into PR with Ogilvy five years ago. In the past six months, 3 Monkeys Zeno has won corporate work with Avon, AB InBev, and Godiva. Kirsty Leighton's start-up Milk & Honey PR has been appointed by Piing, a UK company positioning itself as an ethical alternative to Uber. Piing pays drivers 85 percent of their fare, which it says means it takes half the commission Uber does. All its driver are screened face-to-face by the company. Innovate Finance, a membership association for the global fintech sector, has appointed Iain Anderson as a non-executive director. Anderson is the co-founder and executive chair of comms agency Cicero Group. Also joining the Innovate Finance board is Danny Lopez, chief operating officer of tech firm Blippar. Department for Transport chief press officer Ray Sadri has joined Social Communications as an account director based in its London office, which opened last year. The new hire means the firm's staffcount has doubled in the last 12 months, to 25. Bland PR, which was set up at the start of the year by twins Alice and Heidi Bland, has been appointed to run consumer PR for natural food brand Pollen + Grace, a brief previously held by Hope&Glory. Healthcare comms and med ed agency Makara Health has appointed Helena Wright as associate director, client relations, and Gina Dootson as senior medical writer. Wright previously worked for Havas Life Medicom. Dootson was most recently a freelancer, and before that worked for the agency Transart. Manchester-based consultancy Esteem – No Pause, a specialist clothing company making nightwear for women who suffer with night sweats, has appointed Refresh PR to lead a three-month launch campaign to raise awareness of the brand and introduce its product range to the media.